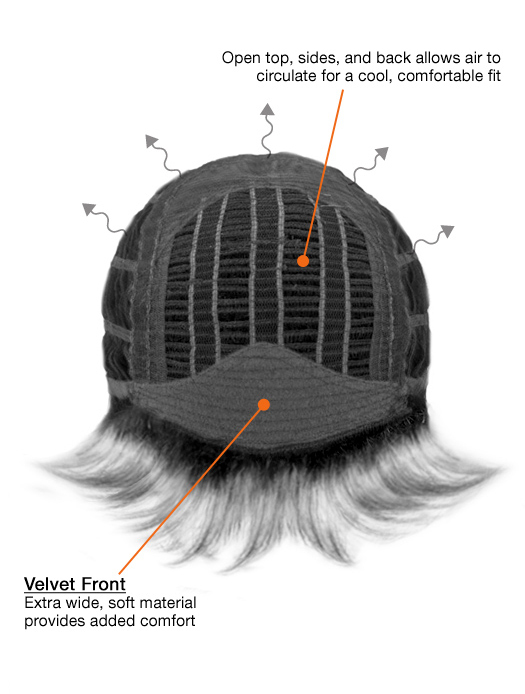 A capless wig is very similar to the standard cap design. However, instead of the closed lace layer at the crown, it has vertical lace strips with open spaces between the wefts. 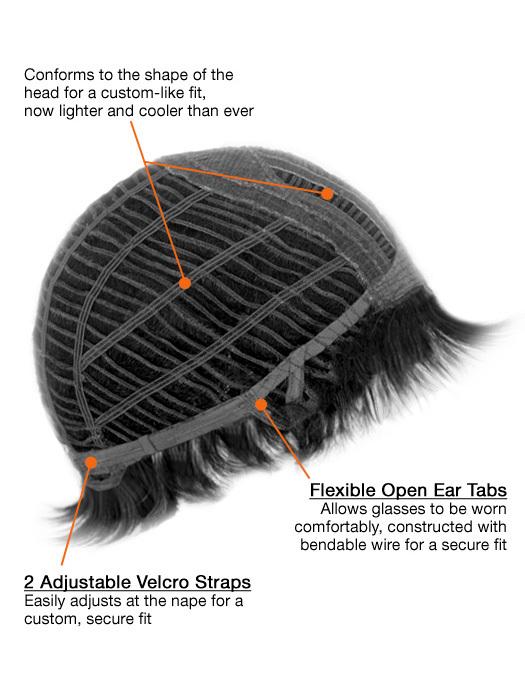 The open-wefting in the crown, back, and sides allows for maximum ventilation. I have bought many wigs but this was the first one that was really comfortable. I like the style and loved the color which was suit for me. Great price and great purchase. I have to say this is the nicest wig I have purchased yet, quality and especially good looks. I Love It. Find myself wanting to wear it all the time. Compliments are always given!! I was disappointed in this wig and returned it. Not what I expected,at least not what I wanted. Your return policy was appreciated and done very promptly. Would definitely purchase another wig in the future. The quality of a real human hair is amazing. However, if you are considering this particular one..go for it! The hair is thin but bulky or full of volume. Feels soft. The hair itself doesn't look as natural as my human hair wig. so,I have given it 4 stars! I love the texture and the way it looks on. It's just perfectly straight. It’s enough to be noticeable, but not too much so that my head seems huge. The colour is beautiful too. I'll be getting this again when this one gets worn out. It's one of my favorites now! I adore it! Wore this wig for 9 months during my recent chemotherapy. Very comfortable..A great style and very realistic . 12 a lovely natural colour with subtle lowlights. Most people didn t realise It was a wig . Would recommend .